The last time I joined a gym was in 2007. It was a sketchy old building with stairs out in an alley where you’d climb up to a huge open space with equipment, loud music and no air conditioning. Maybe this is normal for gyms in the Philippines, or maybe it was just the best one in the city I was living in for my teen years, but it was a unique experience to say the least. Two trips in Jeepnies (the most popular form of public transportation there) and a few friends and I could work out together. While the location was all kinds of sketchy, I did love the opportunity to be with my friends and working hard together. It’s a feeling I’ve missed in the past 10 years that I’ve been back stateside and not darkening the doorstep of any gym lately. One of the things that has kept me from joining any here is that it all seems so intense. The Instagram photos I see taken in gyms are all so intimidating and nothing like the fun and challenging atmosphere I remember as a 17 year old in that unassuming old building in Asia. I’m never going to be a body builder. I don’t want to run a marathon. But yeah, I’d like a place to go with friends, to have fun and to work out a bit but in a more relaxed way than would probably make an epic #gymselfie for Instagram. When I got the email about Planet Fitness running a new membership sale through May 12 my curiosity was piqued. 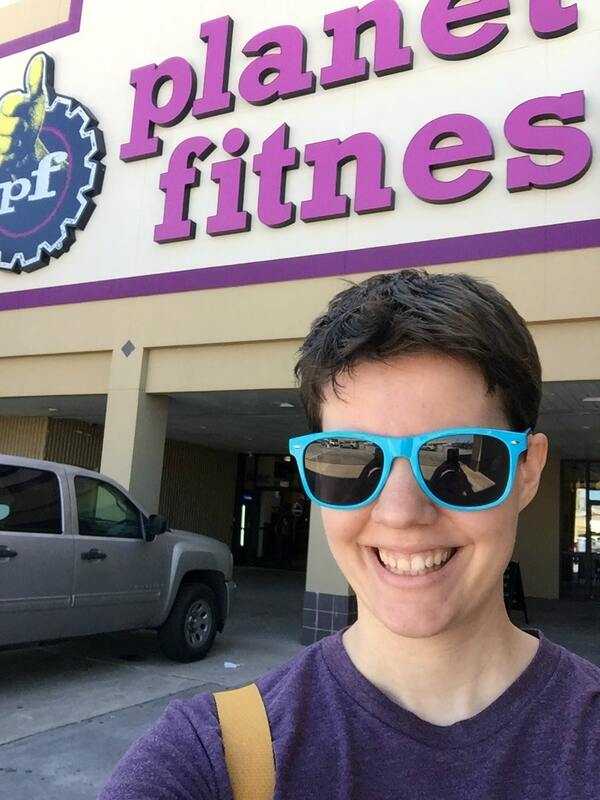 The only thing I really knew about Planet Fitness was from the commercials where they talk about it being a Judgement Free Zone® – I thought maybe this could be a fit for me, if I’m EVER going to try another gym…this would be the one I want to try! The special happening through May 12 is $5 enrollment fee and then $10 a month after that…with no commitment. So basically it’s affordable! I figured I might as well give it a try. I walked nervously in because, y’all, it’s been 10 years. The lady at the front was super nice and encouraging. And then she told me about all the perks that come with membership and I was hooked! Did you know if you upgrade your membership you get MASSAGES? Literally nothing else this mama needs than a fun hour on a treadmill or elliptical machine and then a massage! 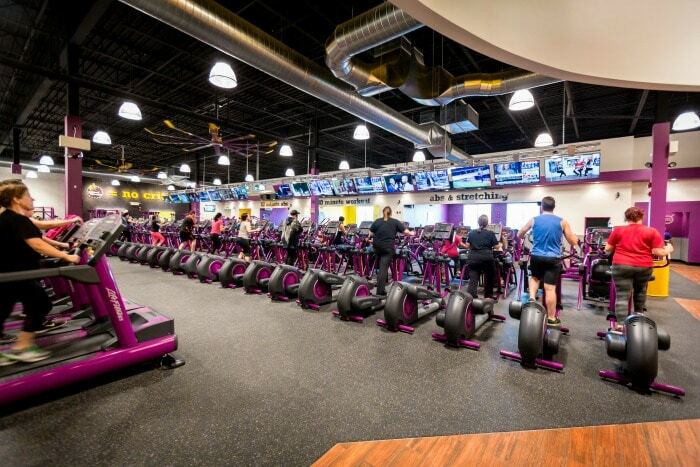 You can find the closest Planet Fitness to you here. 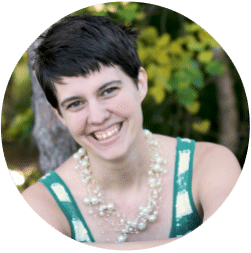 Do it fast…I know we all love a good deal! This is the perfect way to test it out and see if the atmosphere is one you feel comfortable in, especially if you are like me and it’s been awhile (or a decade) since you last darkened the doorstep of a gym! The goal of the whole place is to make you feel comfortable reaching YOUR goals. They won’t try to force you into doing something you don’t want to do, and the community is built on encouraging one another through every milestone, big or small! 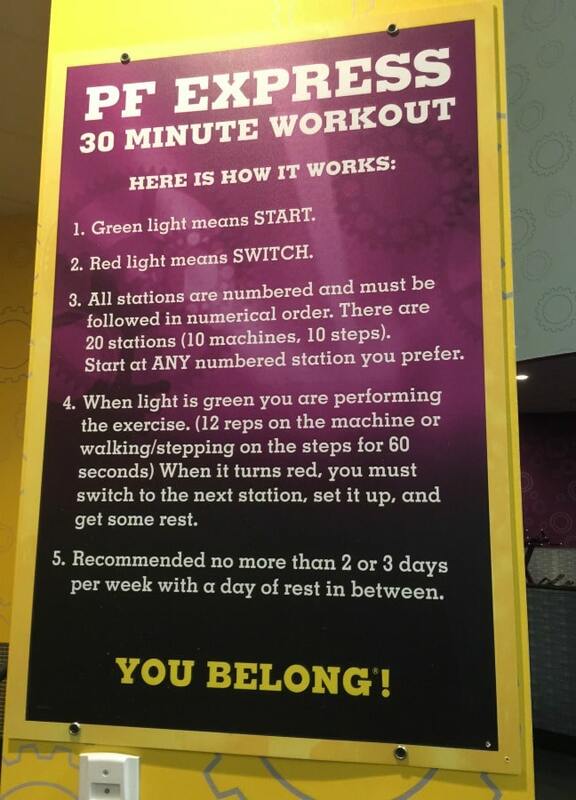 Since Planet Fitness is geared towards every day type people (like me) I enjoyed that they had a variety of tips specifically for moms. 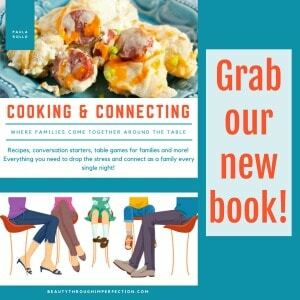 There was information about working out while pregnant and lots of great support for new moms too! Having a place to go to move and keep active (in a way that doesn’t involve chasing toddlers) is helpful for EVERY stage of motherhood, and they can help you find a way to cater your exercises to your specific stage of motherhood, be it pregnancy or beyond! There are even small group training sessions (at no extra charge) you can join to get in a fun full-body workout lead by a certified trainer… these are with other people so it’s also just a fabulous excuse to hangout with some one over the age of three. I’m excited to give gym-going another try after a decade off. When was the last time you went to a gym? Are you willing to give it another try during this epic sales period through May 12? We can try together!!! Hey Buddy!, I found this information for you: "The last time i joined a gym…". Here is the website link: https://www.beautythroughimperfection.com/last-time-joined-gym/. Thank you.